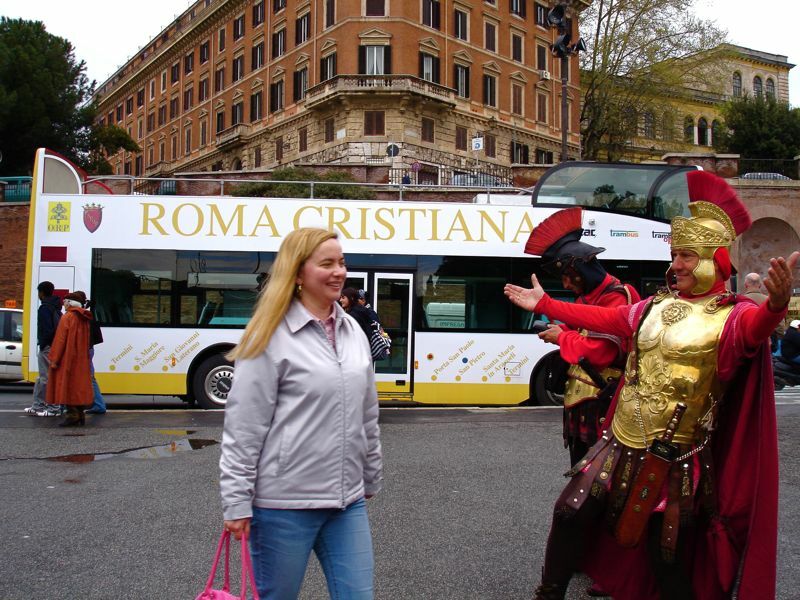 This gladiator was greeting the pretty lady on the streets of Rome back in 2005 when I visited Veronica there. I found the gladiators to be rather amusing. The one in the background looks like he may be using a cell phone. It's fun when the ancient world meets the modern one.